Read our definitive guide to make sure your link previews always display as they should when sharing across different apps on your iPhone. In our recent Marketing Tips videos we’ve been sharing some great insights into making sure your blog posts and web pages are ‘share-ready’. This includes making sure your og image and og data are displaying correctly. “Og” stands for open graph, which is basically the integration between your website and Facebook. But we recently discovered something even more interesting – when you share your content via your iPhone, it’s also the og image and og data that gets pulled through as a preview. Well, sometimes. In some apps. So we thought we’d dig a little deeper to find out what’s going on. 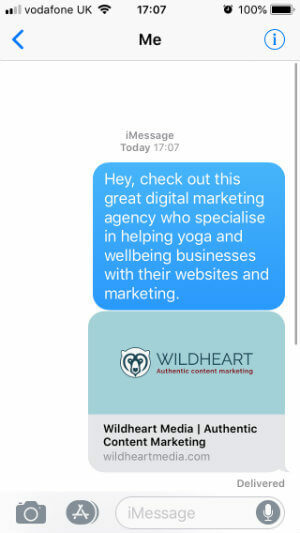 Whether you’re a mobile marketer, or you just want to know how to get that nice preview displaying when you send someone a link via your iPhone, check out our definitive guide below. So, it turns out that iPhone’s use of the og image and og title has only been in place since their update to iOS10. The link has to be right at the beginning or end of the SMS, and when they say the end, they literally mean the end – only a full-stop is allowed afterwards, no kisses or emojis! If the link is in the middle of the text, it will only display as a hyperlink, not a proper preview. The link must start with either http:// or https:// so if you’re sharing a link without this prefix, you’ll need to add it in. The best way is to copy the link directly from your mobile web browser. E.g. in Safari you tap on the URL in the address bar, then tap again to see a Cut/Copy/Paste menu appear. Tap Copy, then you can paste the link into your message. Only the host name of the domain will display before and after preview; not the domain path. 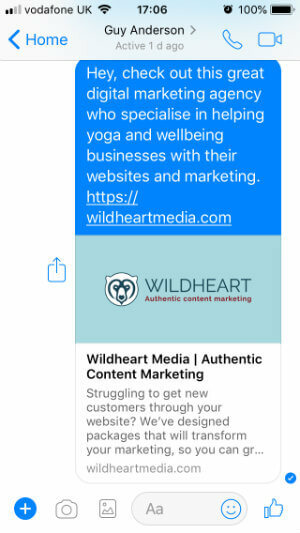 For example, if you shared the URL https://wildheartmedia.com/content-marketing-packages/, only the https://wildheartmedia.com/ part would actually be displayed in the message. 5. What if there’s no og image? This serves as a great reminder to make sure you’ve set the right og image and og data for every page and post on your site. Check out this video if you’re not sure how. Multiple hyperlinks are not supported, so if you add more than one, there won’t be any previews, no matter where you place the links in your message. Link sharing in WhatsApp on an iPhone seems to work in much the same way as above. The main differences are that you won’t need to tap to load the preview, and you can insert your link anywhere in the message. 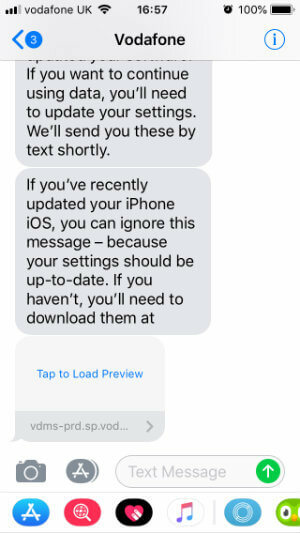 Also, the preview will actually appear above your message, rather than below it. WhatsApp definitely uses the og data and image, which is no surprise, seeing as Facebook owns WhatsApp! 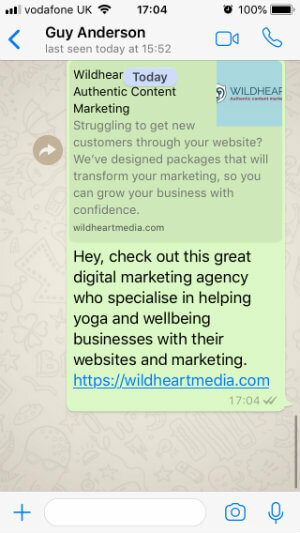 So, now you know how your links will be displayed when you share them across SMS, WhatsApp and Messenger on an iPhone. If you run a business you can see how important it is to make sure every blog post and every page of your website has an appropriate og image and og data applied. 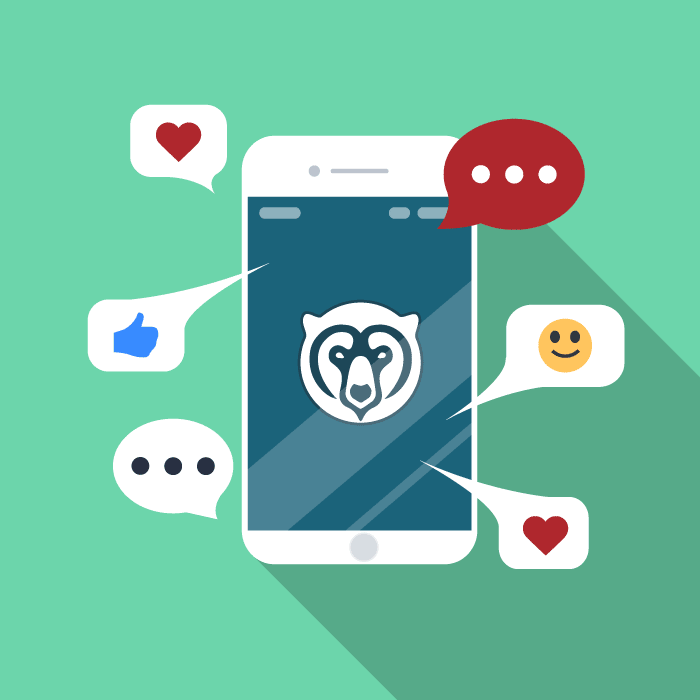 This is not only important for when your pages are shared across social media, but also when they’re shared in messages on mobile. And, as we all know, mobile is fast taking over the digital world!